As manufacturers of process cheese, we pride ourselves in being a leading company in this field. For many years, we have received awards for outstanding quality, at the South African Dairy Championships. 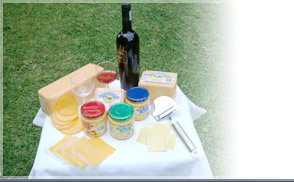 Cape Cheese Products have distributors nationally and we also export to Namibia and Angola. We are importers of Swiss cheese and distributors of other natural and speciality cheeses. Cape Cheese Products endeavour to serve the public through our factory shop outlet, where	the public have a variety of products to choose from. We are suppliers to the retail market	iers to the retail market, catering, restaurant and fast foods outlets.